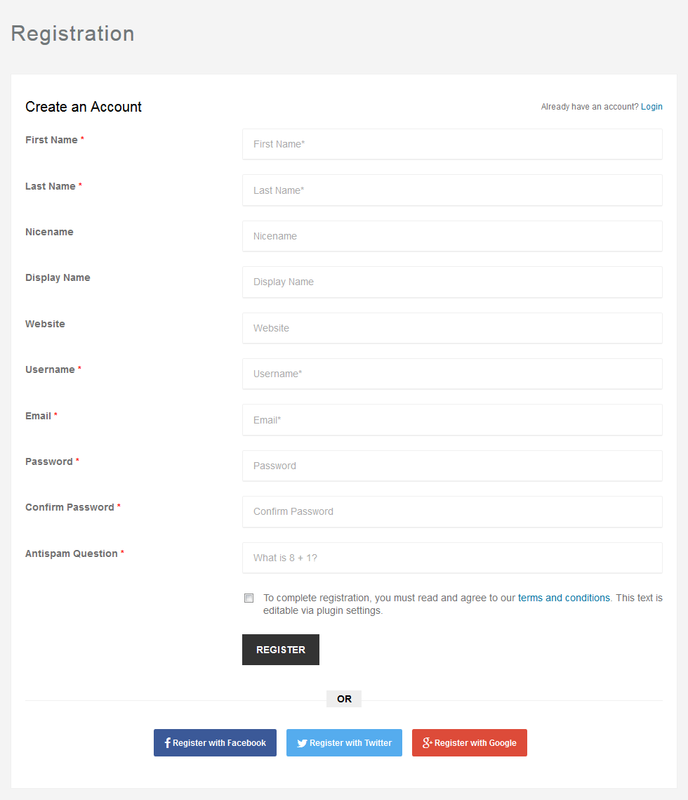 3 Different Beautiful front-end Login & Registration themes with shortcodes. 1-Click Social Login and Registration with Facebook, Twitter and Google. Custom actions and filters for adding more features using other plugins. Redirect non-admin user to front end private area instead wp-admin area. Reset password with email or username. 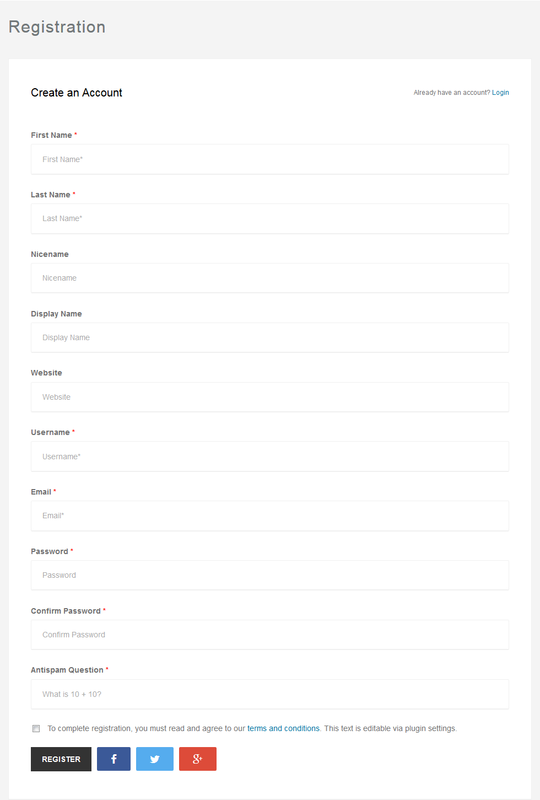 Admin Configurable Registration, Profile Editing, Login, Reset Password, Change Password page form fields with Label, Placeholder, Input visibility and required configuration. Single registration per IP configurable. Redirecting user to homepage if he/she are visiting admin panel. Preventing User registration IP Blocking. Allowing User registration for specific email domain only. User registration notification to admin and user. Uses WordPress user meta to ensure compatibility with other plugins. Email template modification by admin. Fully responsive, adjusts beautifully to any screen size. Custom CSS, to adjusts tiny appearance issue to match your theme. In admin plugin builtin documentation. Finally completely nobies user friendly also developer friendly! + 1. 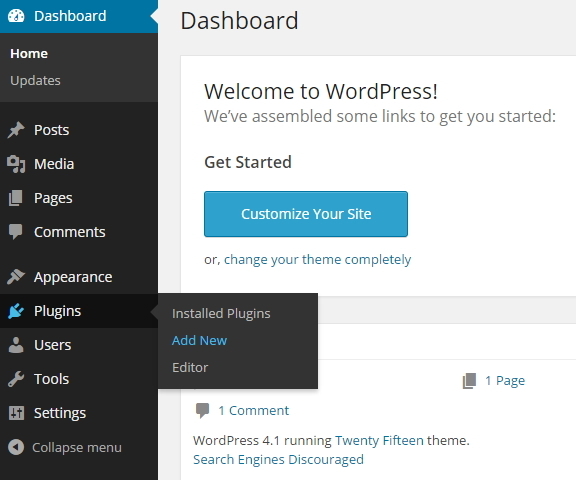 Added - WordPress Version 4.9.x support added. + 2. Fixed - vt_resize image resize conflict fix with other image resize library of theme/plugin. + 3. Added - User group based after login page redirection. + 4. Fixed - Some CSS fix added for exiting themes. + 10. Updated - Captcha by default off and can be enabled by the settings. + 11. Added - Sidebar Login widget added requested by Patricia Tamborino. + 12. Fixed -Password strength 'Test' text removed. + 1. Fixed - Secured page login was redirecting to default WordPress login page. + 1. Fixed - aqua-resizer conflict with other premium themes. + 10. Fixed - captcha conflic issue with other plguins. + 10. Fixed - wrong message display with username instead email, Oh Snap! The information you entered for the email username is incorrect. + 12. Fixed - When plugin based login page is not created then invalid redirect login page issue has been fixed with WordPress default login page. + 14. Added - User group wise page access control! + 15. 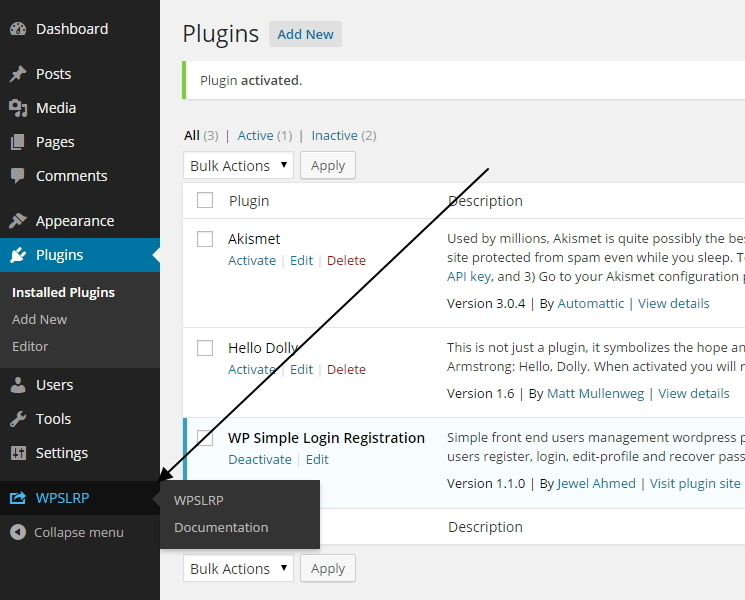 Added - User login status wise private page appearance in WordPress default primary menu. + 16. Improved - "You do not have permission to access this page." has been replaced with redirecting to home. + 17. Added - Logged in user wise admin dashboard interface access control. + 18. Added - When a page is visiting without roles / access control permission then now it will show WordPress default error as access denied. + 19. Added - Removed posts from posts listing page like blog index which all posts are secured! Its even hiding posts from recent posts widget and post search results. + 20. User role wise author template support. + 21. Added - It is now possible to add link in menu with group / role based security. + 22. Added - Global profile setting wise author URL modification and routing adjustments like. + 24. 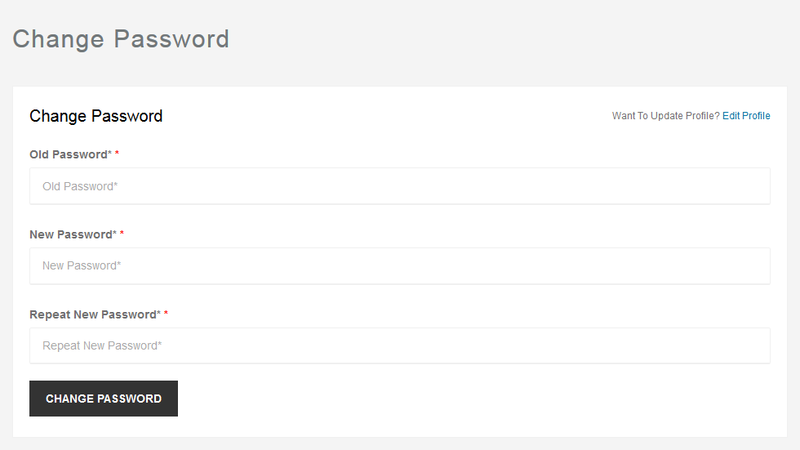 Added - Show Password Strength under registration and change password form. + 25. Improved - Improved some other minor fixes and features. 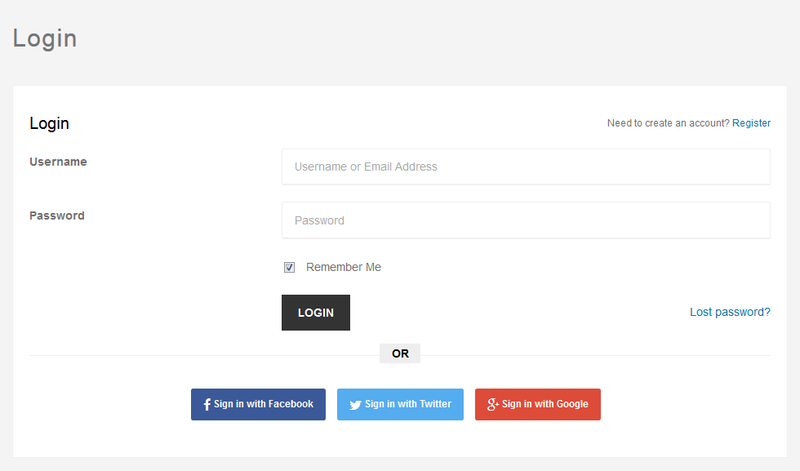 + New Feature - Added 3 Different Beautiful front-end Login & Registration themes with shortcodes. + New Feature - Username or Email Login. + New Feature - Username or Email Reset Password. + New Feature - Terms and Condition checkbox on Registration. + New Feature - Antispam Question for Registration. + New Feature - Change password feature by shortcode. + New Feature - Redirecting subscriber user to homepage if he/she are visiting admin panel. 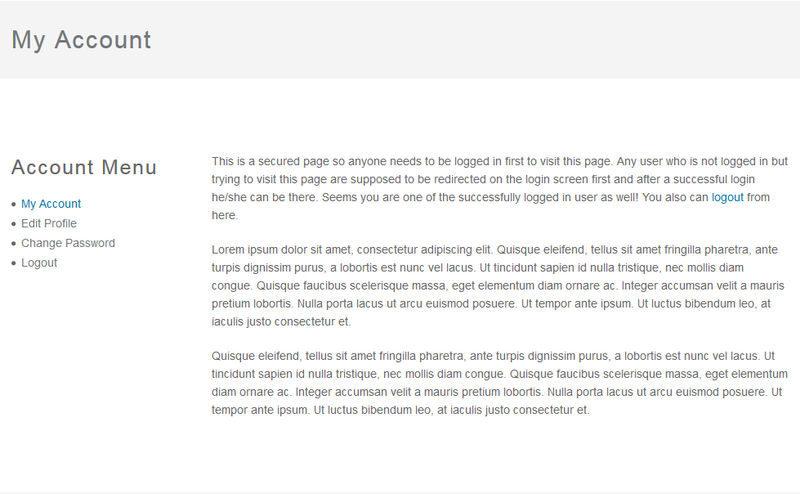 + New Feature - Securing a page by checkbox input when adding/editing a page from non logged in user. + New Feature - Added Action API for each input fields for customization purpose by other plugins. + Fixes - Confirm password placeholder issue. + New Feature - Setting to show / hide Admin Toolbar? + New Feature - Single Registration Per IP. + New Feature - Email domain specific user registration. + Removed - The personal info and account info heading in the form. + New Feature - IP Address blocking on registration. + New Feature - Settings to modify each forms each field, label and placeholder text. + New Feature - Notify by Email to admin user when a registration completed. + New Feature - All email subject and content modification by admin user on plugins settings. + New Feature - Email to user sender name and email is not configurable by admin user on plugins settings. + New Feature - Global success message heading is not customizable by plugins settings. + New Feature - Global error message heading is not customizable by plugins settings. + New Feature - Custom CSS settings to change the appearance with css code editor. 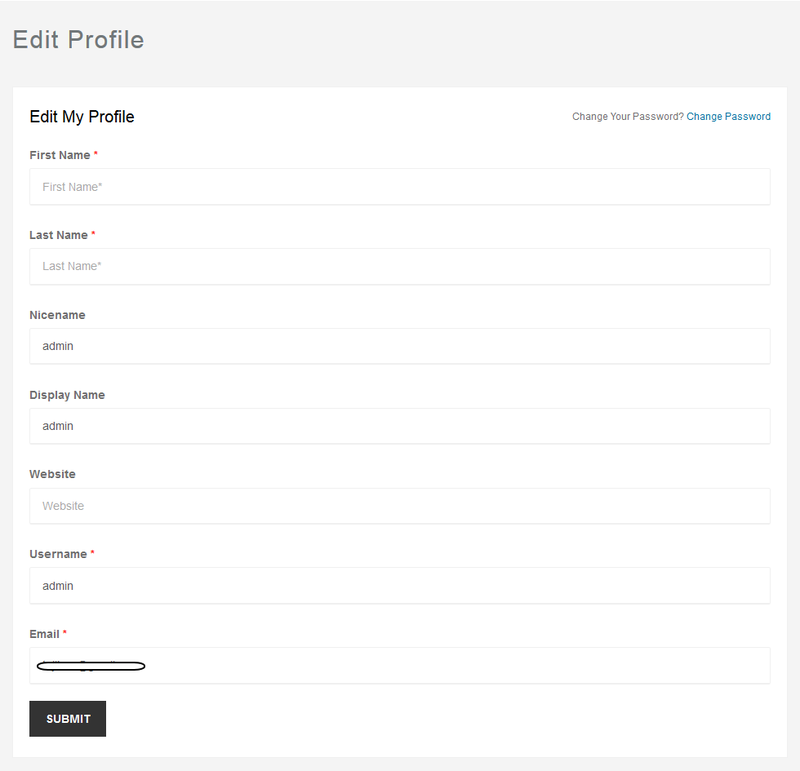 + New Feature - After editing user profile the system is now redirect user to login screen if password changes. + New Feature - Login with redirect_to page configuration. + Removed - Registration/Edit Profile form input group heading has been removed. + Removed - Edit Profile form "Username cannot be changed." has been removed. 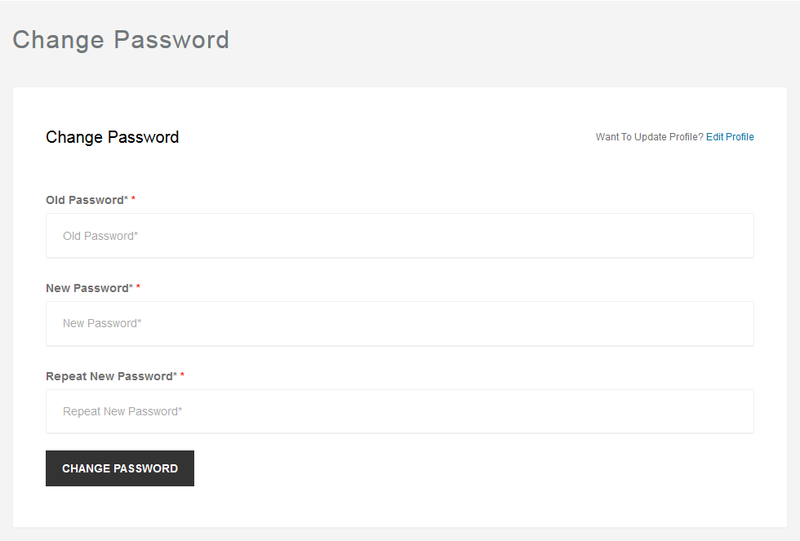 + New Feature - Password and Username on login registration form autocomplete is now off. + Removed - .CSV user import features has been removed from this version. + Cross-site Scripting (XSS) security fix added. + Edit Profile warning issue has been fixed. + Fixed the static error message with phpfarmer username on invalid login submission. + You can now select login and logout redirect page via plugins admin settings. 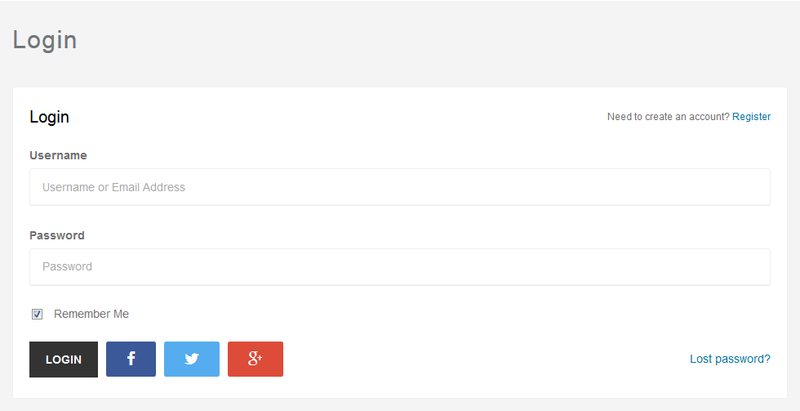 + You can now display individually login and logout link on page or post contents by newly added shortcodes.